Speed Reading Techniques – Do you want your kid to read faster and retain better than before? If the answer is yes, then speed reading is the solution for you. There are many institutes and academies that offer these services to the kids. Speed reading is not just about reading fast but about improving memory and retaining it for a longer time. Here, we will let you know about various speed reading techniques. Reading is one of the essential daily tasks that we all do and especially kids.One one hand, slow reading can affect your overall performance in a number of ways. On the other hand, speed reading can speed up your academics levels and can improve your memory to the most extent. What are the advantages of learning speed reading techniques? Speed reading techniques help you learn better and fast way to read. Most people mistake speed reading for the only fast reading of the text. But this technique help in improving the child’s brain and memory so that he/she can perform much better than before. Below listed are some of the benefits of fast or speed reading techniques. The brain needs constant attention to perform better. Speed reading is one of the best methods to enhance your memory. Speed Reading challenges our brains to perform at a higher level. When you train your brain to be able to take in information faster, other areas of your brain will also improve such as your memory. Most of the people have average reading speed. You can enhance both your speed and memory by learning some speed reading techniques. 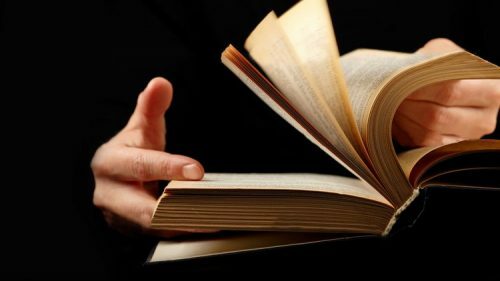 Speed reading techniques will also help in boosting the self-confidence. This will further open many doors of opportunities for you to have a bright future. Reading is an exercise for your brain. When you train your brain to read faster, something amazing happens. Your brain becomes more efficient at sorting information and finding correlations to other bits of information previously stored. Reading is very relaxing in general. It can help reduce stress because it gets your mind off worries and other thoughts that are not healthy nor beneficial. When you read faster, you will be even more absorbed into the material which is further beneficial in many ways. Poor reading or slow reading habits can directly or indirectly affect your overall performance in the school. Therefore, learning some effective methods or techniques of speed reading will only do benefit. Below mentioned are some of the necessary techniques and tips that can lead you to the doors of success. Most people commit the mistake of choosing a tough novel or book. To get the best results, you need to get your hands on some easy textbook which you can quickly enjoy and understand at the same time. Speed read appropriately so that you are able to retain and learn things properly. You can use a pointer or other device to help push your reading speed – when you quickly draw a card down the page or run your finger back and forth, you force your eyes and brain to keep pace. When you are learning the speed reading it is important to keep a check on the current speed of yours. The last thing you need to focus on is practice. Nothing will make you professional in speed reading than practice. Speed reading is one of the best methods that you can rely on for better memory and improved concentration. Above mentioned techniques will definitely help you in reading fast and better than ever before. You can implement these tips to get the best results out of these techniques.